Grasshopper Travel runs a series of Film Trips through-out Australia to add content to our website. This section shows what a typical road trip looks like when travelling with our camera crew. It was conducted in April 2018 and covered production on The Bottom End, Outback, and Top End parts of Australia. Since then we have run other trips between Cairns and Brisbane, Canberra and Melbourne, Sydney and Melbourne, and also Tasmania. Join The Crew - Join The Adventure! Our next AMAZING trip starts from Melbourne on Thursday 21st February and will finish up in Perth 25 days later on Sunday 17th March 2019. We will cover great Australian Destinations like Melbourne, The Great Ocean Road, Grampians, Fleurieu Peninsula (Adelaide), Flinders Ranges (Outback SA), The Nullabor, Esperance, Albany, Margaret River, and Perth. It will be an ACTION PACKED ADVENTURE with awesome activities like Abseiling, Kayaking, Mountain Biking, Surfing, Hiking, SUP, Island Boat Tours, Scenic Boat Tours, maybe Scuba Diving and Horse Riding, and much more. We have a beatiful range of accommodation from luxury hotels, holiday parks, motels, and the occasional hostel. Some restaurants and pubs are also included. Please contact us for more details on the trips itinerary. I hope you can join us! The following was our epic FILM TRIP-21 on OUTBACK AUSTRALIA we did in April 2018. We have kept it up on our website to give you an idea of what we do on a road trip. Don't miss an opportunity to join our film crew exploring many of Australias' best Destinations. Our road trips are a great adventure. You will make very close friends from all over the world. I have carefully planned the trip to travel to some amazing natural wonders of the Great Ocean Road and Outback Australia. We will visits natural springs, breathtaking gorges, mountain ranges, waterfalls, caves, and rivers. There is a list of attractions below. The trip will run at a nice steady pace allowing time in most places for sight seeing. This trip will start from Melbourne. A range of activities and tours as descbibed below in the itinerary including Rap Jumping, Kayaking, Surfing, Mountain Biking, Snorkelling, Scuba Diving, Horse Riding, River Cruise, and more! All other meals. We run a food kitty that everyone contributes to for food shopping every few days. You will be helping out during the trip to set up great film shots and assist with the cameramen getting the footage they need. The crew are great and fun to work with. Our Swedish cameraman will also be producing a personal video for each person about the trip for your beautiful mermories. We are limited to a maximum of 10 International Cast (Travellers) so be quick to call and reserve your spot. The trip will start at our Melbourne accommodation at 3:00pm for a brief on the trip before we check into the accommodation then off to have a few drinks on us..
Melbourne is the capital city of Victoria and Australia's second largest city, with a population of around 4.1 million people. The City Centre is home to five of the six tallest buildings in Australia, and has been compared to New York City and Berlin as one of the world's great street art meccas, and designated a "City of Literature" by UNESCO. Melbourne is very much about sport and lifestyle, with a rich culture embedded in art, restaurants, cafes, bars, fashion boutiques and galleries. Arrive no later than 3:00pm please at the URBAN CENTRAL backpackers located at 334 City Road, Melbourne for a brief about the trip ahead. We are here for 2 nights. Lets start the trip with some ADRENALIN by visiting RAP JUMPING MELBOURNE for an amazing experience. running down our accommodations building. The Great Ocean Road is an Australian National Heritage listed 243 kilometres stretch of road along the south-eastern coast of Victoria between the cities of Torquay and Allansford. The road was built by returned soldiers between 1919 and 1932 and dedicated to soldiers killed during World War I. The road is the world's largest war memorial, winding through varying terrain along the coast and providing access to several prominent landmarks, including the Twelve Apostles limestone stack formations. An early 7:00am departure from Melbourne today as we leave the city lights behind to hit The Great Ocean Road as we make our way to Torquay. it's time to hit the surf with SEA EARTH ADVENTURES (formerly West Coast Adventure ) for a full day of Mountain Biking and Surf Lessons. Learn to surf with Westcoast Surf School at Torquay, Anglesea, Pt Addis, Urquharts Bluff and Ocean Grove. Beginner surf lessons are run every weekend from November to Easter time, and every day over the summer school holidays. We provide fully qualified, experienced and friendly instructors and the latest and safest equipment, including full length wetsuits and specially designed beginners softboards. Its on again...MORE Surf lessons, Stand Up Paddle (SUP) and kayaking today with APOLLO BAY SURF & KAYAK. You'll be a pro surfer before you know it! Full-length wetsuits and safe soft ‘G’-Boards with no sharp edges help to make your whole experience fun. We aim to get you standing first lesson! Have fun paddling as a team in our 2 seated kayaks, and then the adventurous can catch waves back to the shore! Learn about the Australian Fur Seals and how they live. Experience them up close and personal (closer than viewing by boat) and fingers crossed they may swim over to learn about you! Stand Up Paddle is a fun and easy family sport. Stand up paddle surfing promotes balance, strength and general fitness. It is excellent for surfers and non-surfers alike, as it provides a great workout that strengthens your core muscle groups, while giving you a fun and exciting way to view the natural surroundings. After our big day, check into our LUXURY Apollo Bay accommodation at SEAVIEW MOTEL & APARTMENTS and 7 FALLS APARTMENTS. On the way we'll spend an hour or so to visit to Ottway National Park to spot the many koalas hanging in the trees. Otway Cottage is a three bedroom cottage located within the township of Beech Forrest – 10 minutes drive inland/up the hill! from the Great Ocean Roadand surrounded by the Otway National Park. Close to the Great Ocean Walk, the Otway Fly Treetop Walk, Triplet waterfalls, Beauchamp and Hopetoun waterfalls, and magical rainforest walks. 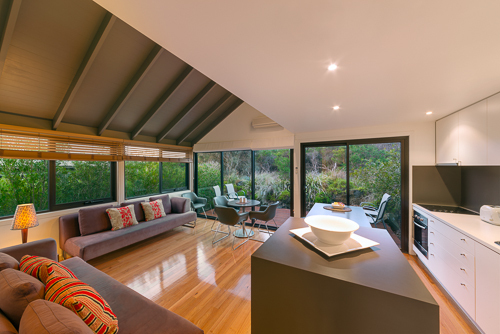 Otway Cottage can accommodate up to 6 people & provides a cosy, clean, comfortable & affordable option for families & groups to enjoy & explore the Otway National Park & the Great Ocean Road. Location is brilliant as it is central to all the townships, forest & coastal highlights of this wonderful region. An easy relaxed circuit drive via the Great Ocean Road & the Lavers Hill /Colac Road ~ takes in Apollo Bay, Cape Otway & the township of Lavers Hill & all the activities & attractions in between – including Otway Fly Treetop Adventures and a range of waterfalls and rainforest walks – just 10 min drive from the cottage. Take our time today exploring the famous 12 Apostles as we make our way to Port Campbell. The Twelve Apostles is a collection of limestone stacks off the shore of the Port Campbell National Park, by the Great Ocean Road in Victoria, Australia. Their proximity to one another has made the site a popular tourist attraction. Accommodation tonight at Southern Ocean Villas in Port Campbell. 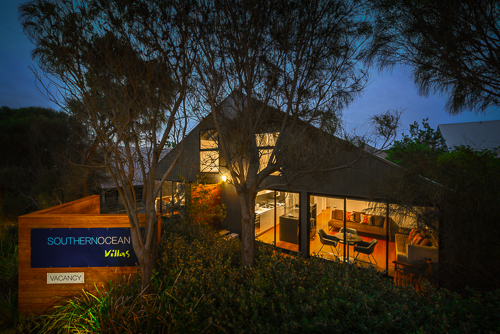 Ideally located in a tranquil, landscaped environment on the edge of the picturesque Port Campbell National Park, famous for its rugged beauty, Shipwreck Coast and spectacular scenery, Southern Ocean Villas are within a short stroll of the Port Campbell town centre and beach. The perfect base for day trips and scenic adventures, the villas offer a variety of different accommodation options. Capable of comfortably accommodating from 2 up to 6 people, each villa has an open-plan kitchen and lounge/dining with two or three bedrooms and an outdoor deck. Southern Ocean Villas are fully self contained including microwave, dishwasher, and full sized refrigerator, TV/DVD/CD; reverse cycle air conditioning, separate laundry with washer & dryer. We provide quality linen & crockery, comfortable suede couches, outdoor deck area and BBQ facilities. We also offer complimentary Wi-Fi. The Limestone Coast is south-east of Adelaide, and covers the coastal area from the South Australian border with Victoria, to the Younghusband Peninsula. There are a number of magnificent sites along the Limestone Coast, including Mount Gambier's Blue Lake which fills the crater of a dormant volcano, and the Pool of Siloam at Beachport, which is seven times saltier than the sea. The World Heritage Listed Naracoorte Caves are around half a million years old and contain megafauna fossils. The Coorong National Park is an incredible spot for four wheel driving (4WD), fishing, boating and camping. More than 80 species of birds live in the series of long, shallow saltwater lagoons. Giddy Up - Horse riding on the beach today with RUNDELL'S MAHOGANY TRAIL RIDES in Dennington as we make our way to Mount Gambier. Rundell’s Mahogany Trail Rides opened in 1997, we have been trail riding through the sand dunes and along the beach with a team of friendly and experienced staff giving clients the best experience with horses that we can. We offer riders of all experience levels, from the complete beginner to the experienced rider the opportunity to ride wonderful horses along a quiet and isolated stretch of beach. Our horses have been specially bred and trained to cater for all riders from the nervous beginner to the very experienced so that everyone can enjoy the thrill of riding a horse along a wide open beach. Our staff lead all rides so every rider will have a safe and enjoyable ride. Every rider walks and trots (a slow jog), with the opportunity to have a go at a canter, even if you have never ridden before, an experience that very few other trail riding establishments will offer first time riders, we don’t however gallop our horses. Adelaide is the capital city of South Australia and the fifth-largest city in Australia with a population of about 1.3 million people. The city centre is surrounded by parklands and is a blend of historic buildings, wide streets, parklands, cafes and restaurants. Adelaide is easy to get around with rolling hills to the east and beaches to the west. The region is home to the annual Medieval Fair, the English Ale Festival and the largest rocking horse in the world, standing 18.3 metres tall. You can also visit one of the many conservation parks where you can see a huge range of native flora and fauna, including kangaroos, wallabies, emus, dingos and koalas. EARLY START TODAY full of action!! Overnight at MY PLACE BACKPACKERS in the city. Overnight at MY PLACE BACKPACKERS in the city.. Day off for camera crew. The Flinders Ranges are the largest mountain range in South Australia, which starts approximately 366km north of Adelaide. The ranges stretch for over 430 km from Port Pirie to Lake Callabonna. You can visit the sickle-shaped natural amphitheatre at Wilpena Pound, take a hike up St Mary Peak, the ranges highest peak at 1,170 metres. 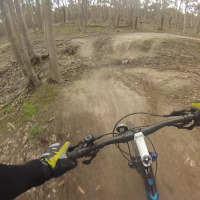 The Heysen Trail and Mawson Trail run for several hundred kilometres along the ranges providing scenic long distance routes for walkers, cyclists and horse-riders. In the southern part of the ranges you can take a ride on the historic Pichi Richi Railway journey, or enjoy a spot of fishing, canoeing or sailing at Port Augusta or Port Pirie where the Flinders meets the beach. Enjoy 2 nights at WILLOW SPRINGS STATION while we explore the Flinders Rages during our stay here. Some accommodation and camping here. Outback SA is a vast region covering the majority of northern South Australia. This is one of the most spectacular outback regions in Australia where you can noodle for opal in Coober Pedy, where everyone sleeps underground or take a swim in a thermal spring. Take a walk along the vast salt flats of Lake Eyre, take a drive or tour along one of the many 4WD trails, or visit an iconic outback pub and enjoy a counter meal and a cold beer. Just a quick stopover at the UNDER GROUND MOTEL in the town of Coober Pedy. What an experience!! The Uluru and Surrounds region covers the area immediately surrounding the world heritage listed Uluru-Kata Tjuta Natinal Park, located approximately 450km south west of Alice Springs. Uluru and Kata Tjuta dominate the landscape of the surrounding Central Australian desert. These massive red rocks are millions and millions of years old. Uluru, also known as Ayers Rock, is the largest rock in the world, rising 348 metres out of the ground and 9.4km around – and that’s just what you can see! Here we are!! Just what we've been waiting for...the breathaking sunrise and sunset at Uluru (Ayres Rock). 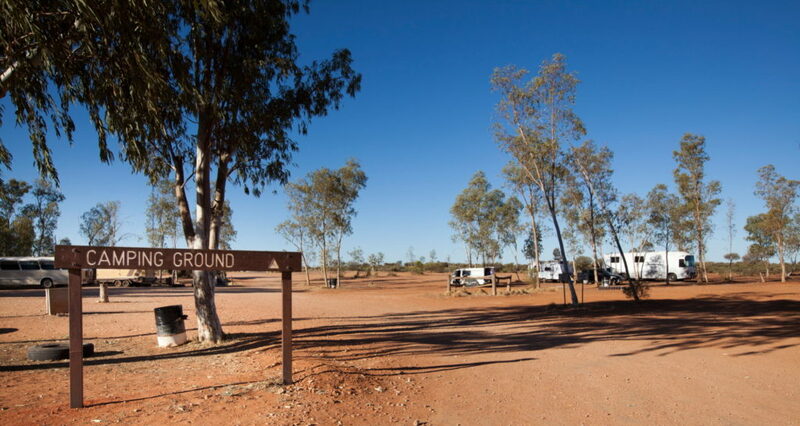 Enjoy another great night camping under the stars at Curtin Springs Station. Alice Springs and Surrounds is a vast region that covers the majority of southern Northern Territory, with Alice Springs at its centre. The region extends from Barrow Creek in the north, and all the way out to the borders of Western Australia, South Australia, and Queensland. Alice Springs is the hub of the Australian outback, where you can stop and plan all your outback adventures. Just in this region you can hike the 223km Larapinta Trail through the West MacDonnell Ranges, discover the ancient landscapes of Finke Gorge National Park, or see it all from above while hot air ballooning out of Alice Springs. Camp out at the Rainbow Valley reserve and experience the changing colours of the sandstone cliffs in the early morning sunrise or the evening sun set. Take a tour or a four-wheel drive adventure out into the Simpson Desert and witness the endless rolling sand dunes, see the amazing wildflowers, the rare pine trees and the strange and unique wildlife that have evolved to live in the desert environment. A well deserved day off for our camera crew today. Just relax and enjoy you free day in Alice Springs. During the camel ride often you will see Australian animals like kangaroos and other native wildlife as you experience the true beauty of the Red Centre. We are situated in the beautiful White Gums Valley, among the MacDonnell Ranges, which is explored during our camel rides. You can also visit our ‘camel lounge’ to learn about camels, browse our camel-themed souvenirs, admire camel artwork and camel collectables, observe the camels at home in their yards, and enjoy the peace and serenity of Outback Australia. The Barkly Region is located between Alice Springs and Katherine with Tennant Creek at its centre. The region stretches from the old Telegraph Station at Barrow Creek in the south, to the historical droving township of Newcastle Waters in the north, and east to the Queensland border. The traditional owners of the land surrounding Tennant Creek are the Warumungu people. You can experience their culture and hear about their stories at the Nyinkka Nyunyu cultural centre, situated in Tennant Creek. You can camp out at the Karlu Karlu Devlis Marbles and see the marbles glow red and change colour in the early morning light and setting sun. Enjoy a walk or a hike in the Davenport Range National Park, or get adventurous with self-drive touring across the Barkly Tablelands. The Katherine region is where the outback meets the tropics, stretching from the Gulf of Carpentaria near the Queensland border towards the Kimberley in the west. The region is full of gorges, waterfalls, thermal springs and ancient cultures where you can experience fun and adventure through driving, fishing, camping, kayaking and trekking. See the mighty Katherine River flowing through Katherine Gorge (Nitmiluk National Park), go camping in the Elsey and Gregory National Parks, or fishing in the Daly River. Or you can visit the Never Never Museum and learn the customs of the local Mangarayi and Yangman people. Darwin is the capital city of the Northern Territory with a population of over 110,000 people. Darwin is built on a low-lying peninsula located on a working harbour that’s twice the size of Sydney Harbour. The suburbs are lined with tropical palms with a mixture of low set southern Australian style houses and traditional elevated Darwin housing which are built to benefit from the tropical breezes. 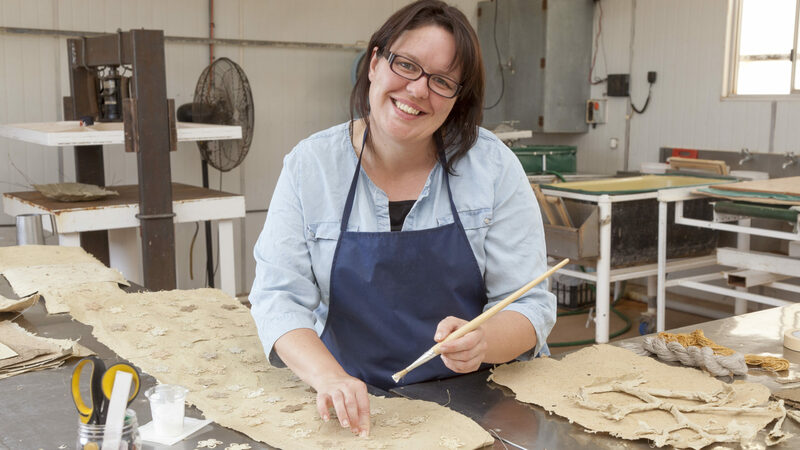 With warm weather all year round, the climate is perfect for the open air markets at Parap, Palmerston, Nightcliff, Rapid Creek and Mindil Beach, where you'll find a range of foods on offer as well as locally made arts and crafts. Beyond the city you can sail across the harbour to the Tiwi Islands, glide across wetlands and spot local wildlife, or cool off under a waterfall in Litchfield National Park. Camera Crew day off today. Enjoy our stay at Batchelor Butterfly Farm with dinner and a butterfly tour. The Kakadu National Park covers almost 20,000 km2 and located approximately 250 kms east of Darwin, the capital city of the Northern Territory, Australia. Kakadu National Park is a World Heritage listed area that has been listed for its cultural and natural heritage. Including the Yellow Water Wetlands, Jim Jim Falls, Twin Falls, Koolpin Gorge and Nourlangie Rock Art Site just to name a few of magnificent sites. While 'Crocodile Dundee' may have made Kakadu famous for its crocodiles and wildlife, there are more than 1,600 species of plants and 290 species of birds. 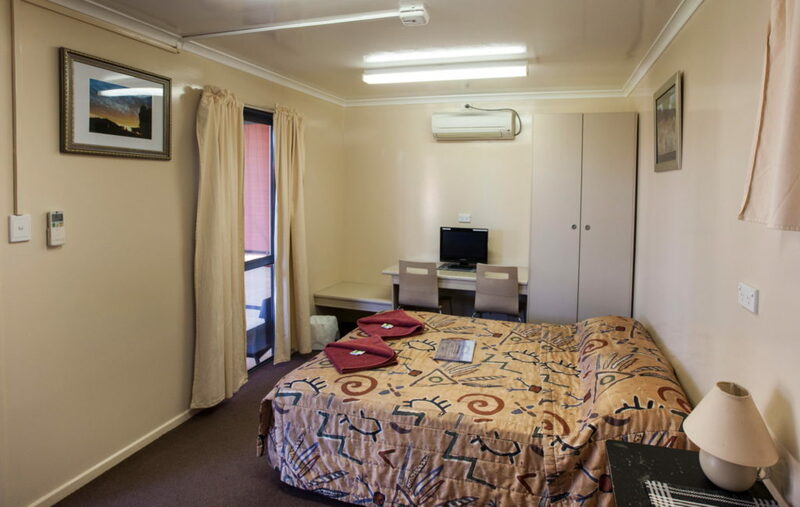 Accommodation at banka Banka Station just north of Tennant Creek. Outback Queensland covers the vast interior of the state and includes the main inland centres of Mt Isa, Longreach, Roma, St George, Charleville, Birdsville and many more. Outback Queensland is well known for its dinosaur fossicking and professional digs for dinosaur bones that date back 95 million years. You can take a look at the Australian Age of Dinosaurs Museum or the Dinosaur Stampede at Lark Quarry National Park where you’ll some of the world’s most significantly preserved fossils. You can also meet the experts, participate in a professional dig, or go fossick for your own dinosaur treasures. If you prefer real gems, you can fossick for opals around Opalton, Quilpie or Yowah, some amethyst, gold or maltese crosses around Cloncurry, or even moonstones at Moonstone Hill. Enjoy a real country experience at the Australian Stockman’s Hall Of Fame or the QANTAS Founders Museum. Talk to farmers who own cattle stations as big as some countries while exploring Queensland’s four-wheel drive tracks. Go for a hike through one of the many national parks, enjoy a nice day fishing in one of the beautiful outback lakes. Take a canoe for a paddle or a go for a swim in a billabong. The Gulf Savannah is Queensland’s outback by the sea, covering the inland coastal region at the southern tip of the Gulf of Carpentaria. The Gulf Savannah is home to some of Australia’s best fishing, pioneer heritage and some amazing sights. Visit Undara Lava Tubes for amazing wildlife, take in the sights of the Cobbold Gorge or walk back in time in Croydon’s immaculate Gold Rush era precinct. Fossick for your own gems, canoe on Lawn Hill Gorge or catch the bird watching bug. Or take a ride a historic train and go to the source at Australia’s Barramundi and Prawn capitals. Tropical North Queensland is the only place in the world where two world heritage listed areas meet; with the Wet Tropics Rainforest to the west and the Great Barrier Reef to the east. The region has some of the most beautiful parks and beaches in Queensland, and is great for diving, camping, hiking and fishing. There are also a number of spectacular sights like waterfalls, volcanic tubes and Daintree Rainforest. The wet season runs from November to May, with a relatively dry season from June to October. Accommodation at Atherton Backpackers with a few free drinks at The Grand Hotel to celebrate our massive adventure!! Day-39: Saturday 19th May 2018. Trip Closed at midday with drop-off inCairns. Thank you everyone who participated on this amazing GREAT OCEAN ROAD & OUTBACK adventure.